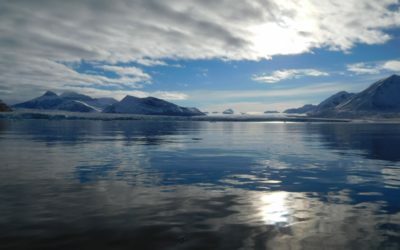 Researchers from the Arctic Research Programme, managed at British Antarctic Survey (BAS), have shown for the first time that phytoplankton (plant life) in remote ocean regions can contribute to rare airborne particles that trigger ice formation in clouds. 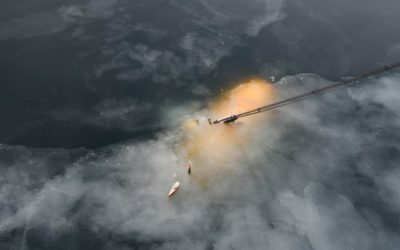 Results published today in the journal Nature show that the organic waste from life in the oceans, which is ejected into the atmosphere along with sea spray from breaking waves, stimulates cloud droplets to freeze into ice particles. This affects how clouds behave and influence global climate, which is important for improved projections of future climate change. Clouds in the Earth’s atmosphere are made of liquid water droplets, ice particles or a mixture of both. Ice particles affect how long a cloud exists and how much rain, hail or snow it produces. They also help control temperature of the climate by reflecting sunlight (keeping surface temperatures cool) or trapping heat close to the Earth’s surface (keeping temperatures warmer). 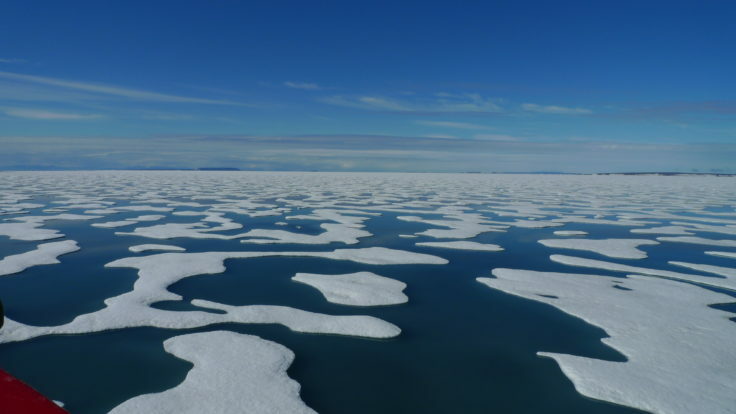 Climate in the polar regions is changing more rapidly than any other part of the planet, yet predictions for how it will change in future remain uncertain. This improved understanding of cloud formation is a step closer to helping reduce uncertainties in global climate modelling. 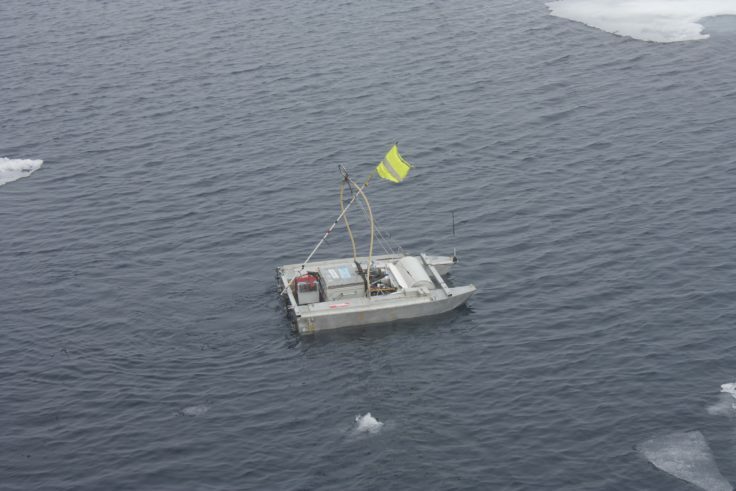 An international team of researchers investigated marine life from the biological ecosystem in the Arctic Ocean, Western Atlantic and North Pacific by collecting biological matter using a remote controlled boat launched from research ships, along with hand held sampling equipment. 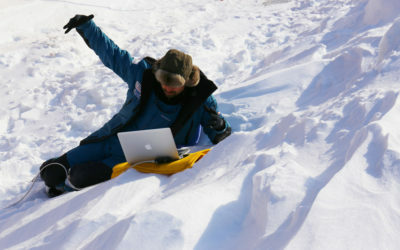 By combining these direct measurements with global computer modelling scenarios of the atmosphere, the team found that airborne particles from sea spray were most influential in polar and other remote ocean regions. 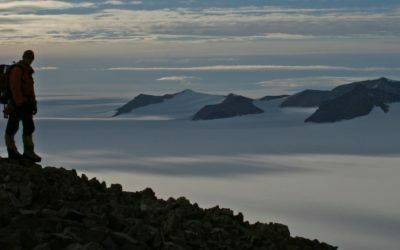 This investigation was partly funded by the Arctic Research Programme – a major UK research effort (funded by the Natural Environment Research Council) to improve understanding and predictions of Arctic change, and to establish what the regional and global impacts of such change may be. 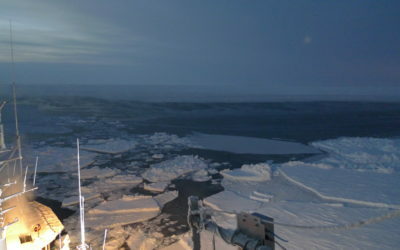 The measurements collected for this investigation were captured during two summer cruises in 2013 (aboard the RRS James Clark Ross to Greenland and Svalbard in the High Arctic) and 2014 (aboard the R/V Knorr in the Western Atlantic), from a Canadian cruise aboard the CCGS John P. Tully to the North Pacific, and via NETCARE measurements off the coast of British Columbia. 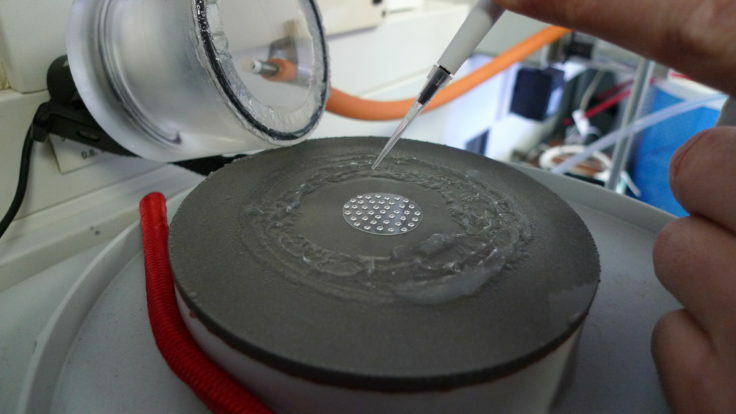 The NERC-funded project, ‘ICE-ACCACIA’ was led by Dr Benjamin Murray at the University of Leeds and focused on the sources of ice nucleating particles in the Arctic. This project complemented ‘ACCACIA’ which was a major consortium funded by the Arctic Research Programme studying aerosol cloud interactions in the Arctic. 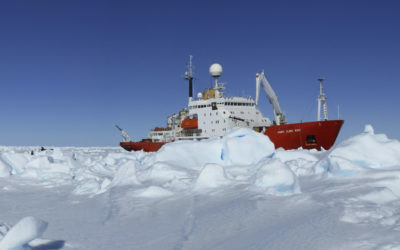 It involved ships making in situ measurements of the aerosol sources reported in this article and aircraft, including a British Antarctic Survey Twin Otter that was used by BAS scientists to study the effect of these aerosols on the clouds.